When Jake Busching and Joy Ting made a tiny batch of skin-fermented pinot gris a few years back, they kept revisiting the barrel until it tasted just right. 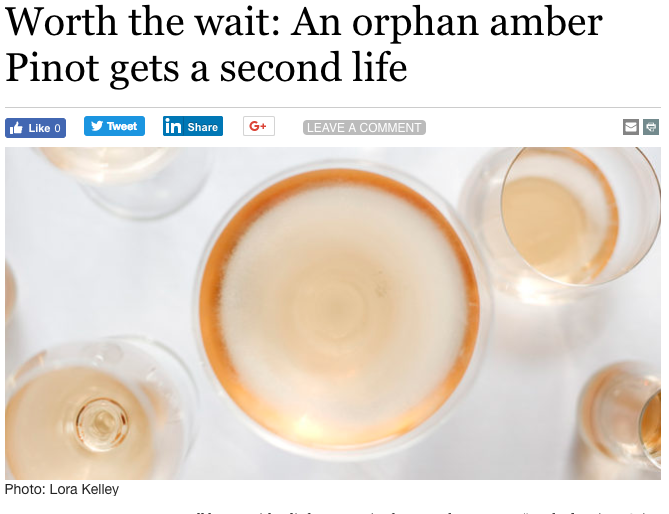 Teaming up with Charlottesville wine professionals Will Curley (Ten Course Hospitality) and Priscilla Martin Curley (Tavola), they bottled the 'orphan' barrel as 'Orphan No. 1.' They hope to find more barrels in other wineries and bottle them under the label series. <-- Here's a link to my article in Knife & Fork magazine about the project. 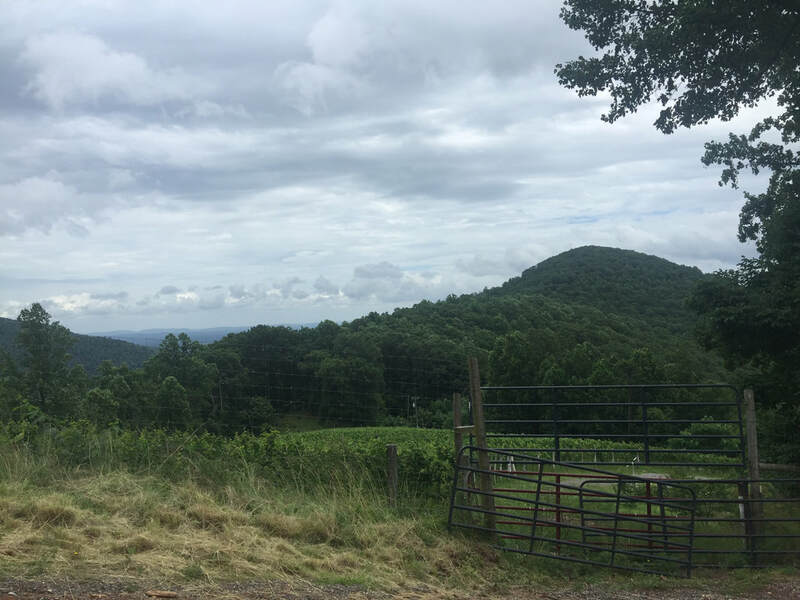 If you head up this road, you'll find yourself deep into Amherst County, where a hamlet of vines grows on a sprawling mountainside. It was almost the vineyard-that-never-was. 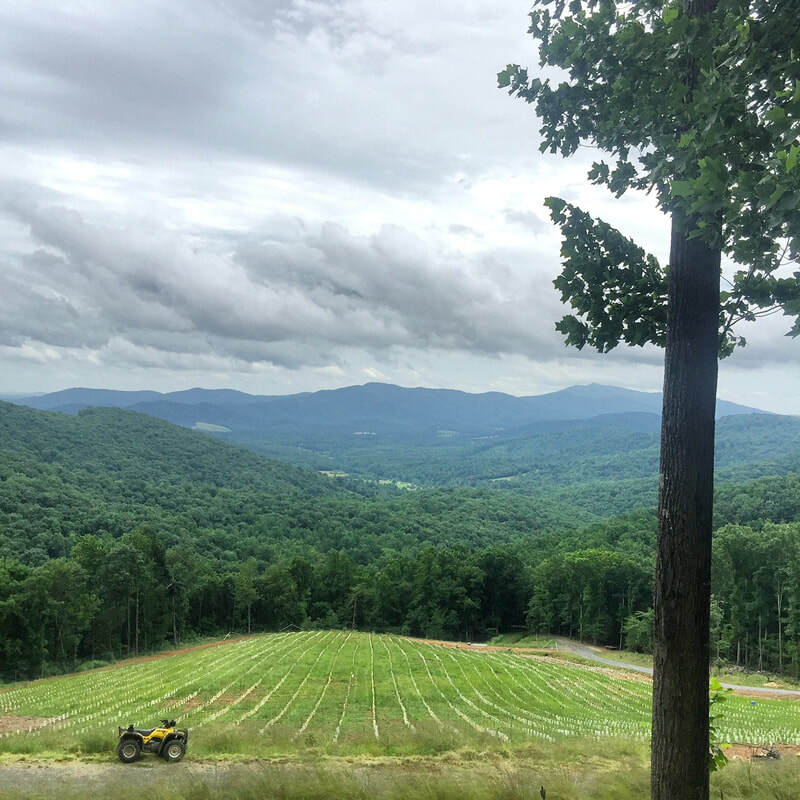 When Dennis and Christine Vrooman purchased a hundred-acre Blue Ridge Mountains plot in 1999, they imagined a tranquil retirement retreat. But after a contractor unexpectedly cleared a piece of land during the home-building process, they decided to plant a vineyard. By 2008, about 2 acres of Pinot Noir and Chardonnay vines went in the soil. More recently, in the summer of 2017, they added another 4-acre plot. 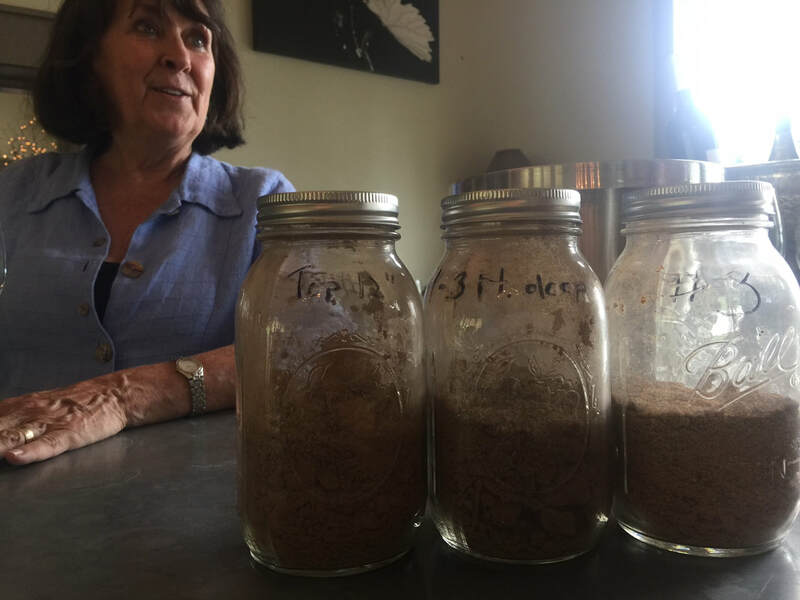 They farm mostly organically and integrate some biodynamic preparations, but make a few non-organic exceptions to combat certain vineyard mildews. Officially, they consider their farming philosophy to be Lutte Raisonée. ​Bees, chickens, and bluebirds keep insects in check, and a herd of sheep mows cover-crops between the vine rows. 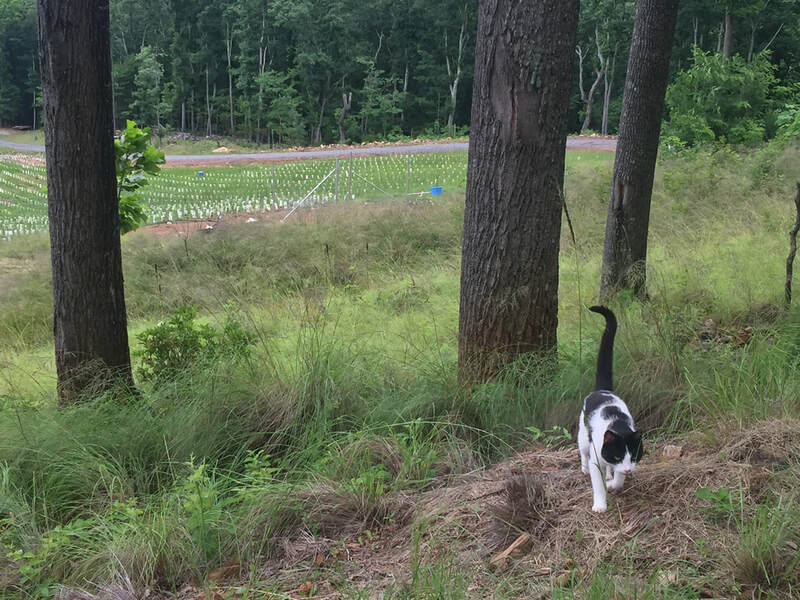 It's one of the most concerted efforts in organic practices I've seen in Virginia. The Vrooman's son, Nathan, is the winemaker, though the entire operation is really a family affair. 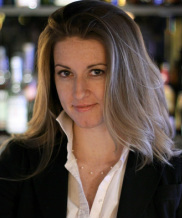 Their daughter, Tamara, works more on the sales side, and she also represents Virginia wines outside of the state. At Virginia wine festivals, you'll often find the whole family representing Ankida Ridge. This mountainside came close to becoming a quiet, private retirement haven. Instead, it emerges as the nexus of a new family wine legacy. You might not believe it by the verdant land in the above photo, but the original 2-acre vineyard narrowly escaped engulfment by a raging forest fire less than a year ago. ​It was refreshing to see how nicely the mountains have recovered. ​The new vineyard includes a bit of gamay, but only enough for one barrel. Dennis loves Cru Beaujolais, and "theoretically, this site should be ideal for gamay," he says, due to the granite soils. "As our plants age and as we add different clones, I think we're going to make good pinot noir. But I think we're also going to find that our site would be much better for Beaujolais-style wine." Personally, I'm hoping for some Passetoutgrains-style bottlings, and there is also talk of potential aligoté (fingers crossed!). The 2015 chardonnay is a blend of 50% home vineyard, and 50% of a neighbor's vineyard planted in 1999. It has woodland aromas as mountain wines tend to do. On the palate it's rich, subtle oak influence, a peachy-fruity mid-palate, refreshing acidity, balanced long finish. This was a personal favorite. An earthy, complex nose. Rich palate with excellent balance between acid, density, and spiciness. There is a juiciness of bright fruit with a lively texture. Very soft and smooth. A soft mid-palate but a lingering creaminess and slow-burning, acid-driven finish. This wine has deep, rich, fruit aromas with a robust, dark palate, intense oak tannins, and a zippy finish. mountain garrigue-like aromas of the local underbrush and trees, integrated with tart cherry and spice aromas. 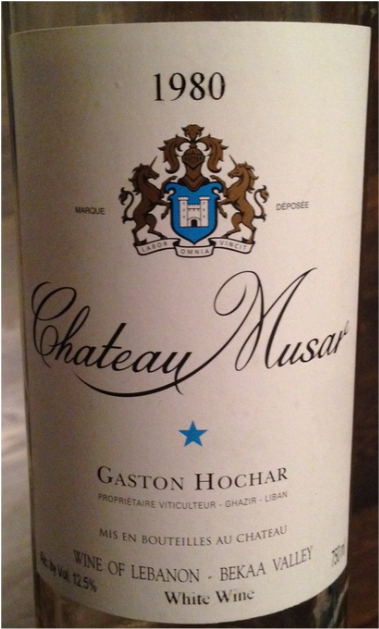 The finish is long and lingering like some of the whites-- this slow-burning complex play between acid and tannin, with soft, chalky tannins driving the texture on the end. rich & spicy fruit. Some grippy tannins here. And once again, that long, lingering finish. To test indigenous yeasts, they'll get a small fermentation going in the vineyard. Then, they'll smell it. If there are off-odors, they've only lost a tiny amount of grapes. 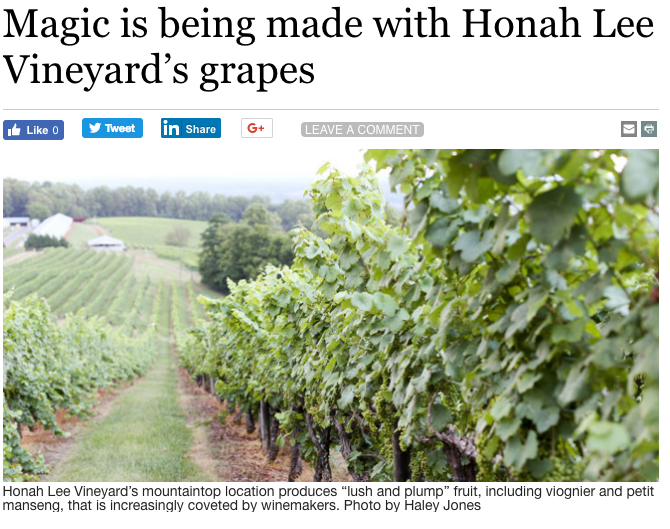 If it smells good, they'll add more grapes to it and encourage the microbiology that is already there. In 2016, the Vroomans began to experiment with stems by including 25% whole-cluster to the pinot noir fermentation, which can significantly change a wine's character, especially when it comes to aromatics. I'll be curious to taste it on release, and also to see how whole cluster might come to be used at Ankida Ridge. 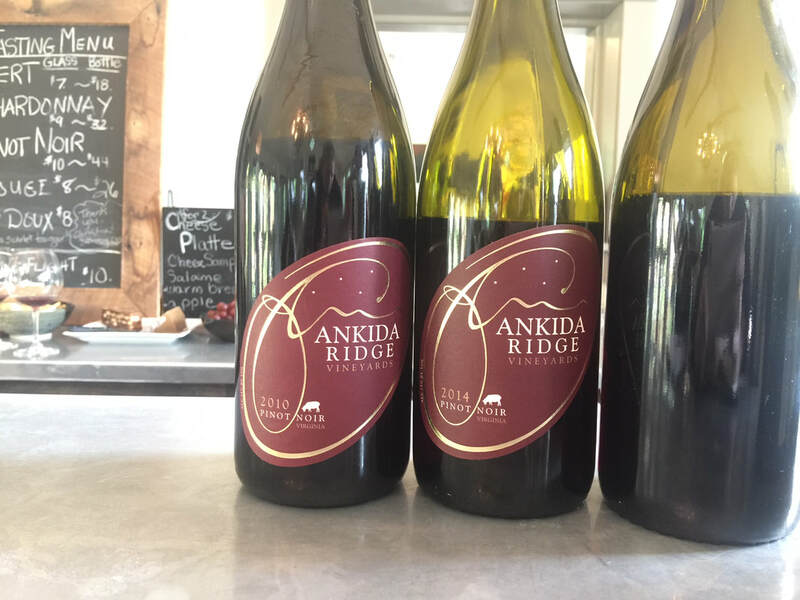 In their 6-7 years of winegrowing, Ankida Ridge has dialed in a house style. Their inaugural vintage of 2010 made an impact on the international wine community, and if they released another bold and ripe wine like it, they might get the kind of accolades that ripe pinot noirs tend to receive. 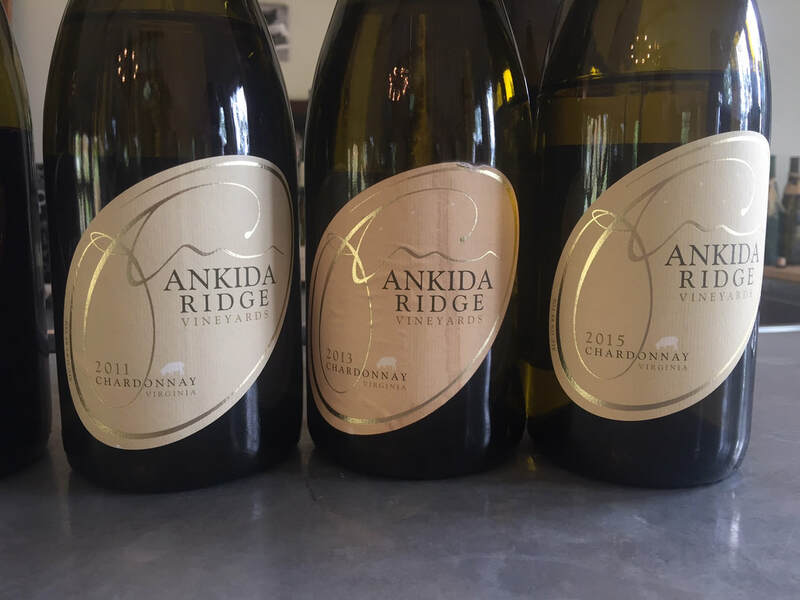 But as Ankida Ridge moves toward an estate model, their style has shifted toward a kind of winemaking that matches their home harvest by showcasing mountain aromas and highlighting a play between acid and subtle fruit. They pick at a lower Brix, now, and are capturing local nuance and complexity in their recent vintages. Dennis says of the 2010 wine, it has "over-the-top flavors and over-the-top aromas." The wine is indeed much bolder and riper than their current bottlings. Special as it was to taste the 2010, it's interesting that Dennis prefers what they are making now, as if he has become a part of the terroir, and his palate has calibrated to their home site. The mountain seems to exude a sense of possibility, especially with the potential of the new vines practically bursting through their grow-tubes. 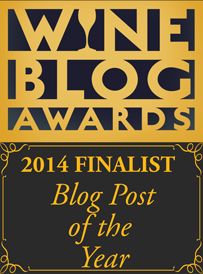 It's great to follow Ankida Ridge Vineyards as they continue on their journey. The Vroomans feel lucky to have unexpectedly found wine, but Virginia is luckier to have them.